More Melvita love today. In fact these are product raves. As you are by now aware, scent is very important to me...a product could claim the world but if I don't like the smell I won't be using it long enough to find out! Both the Fresh Micellar Water and Rose Extraordinary Water have a distinct advantage in that they smell absolutely wonderful and of one of my most favourite of skincare scents - rose. This fresh and delicately perfumed 3-in-1 formula removes make-up, cleanses and tones, thanks to the action of micelles, which trap impurities. Enriched with wild rose petal extract (derived from roses that grow at high altitudes) andmoisturizing rose floral water, the Fresh Micellar Water cleanses skin perfectly without any drying effect. Within moments, skin is soft, fresh and radiant. I absolutely love this cleansing water, it is very effective at removing makeup and leaves skin feeling clean, refreshed, soft and smelling all lovely. I use it when I have been out late and my head just wants to hit the pillow. Super fast cleansing is a cinch with this product as you just apply to a cotton pad and wipe over face, no need to rinse off. As it cleanses and tones it doesn't leave my skin with a tight feeling. In fact one night I just applied this and went to bed, next morning my skin looked radiant. My only reservation is that it does sting my eyes so I cannot use it on my eyes. This skin prep lotion is not extraordinary for no reason... Formulated with Hyaluronic Acidfrom soya and Organic Glycerine to lock in moisture, you will love its unusual gel texture. Rich in Rose Essential Water, this delicately scented formula combines the anti-ageing and rejuvenating properties of Rose Floral Water with the firming properties of Marsh Clover. 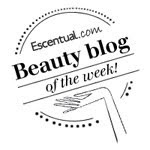 Marsh Clover or Water Clover is proven to firm the skin and improve the oval contour of the face. This comes under the category of a serum but is midway between a toner and serum. Apply after cleansing and before your moisturiser. Once again I adore the scent of this gel like formula. I apply directly to my skin using my fingers. It just melts into the skin leaving no residue. I find that it leaves my skin bright, hydrated and super soft. Very, very nice product to include in my skincare routine. I have long spouted the benefits of rose water and glycerine for maintaining soft, young looking skin and this product combines both and more in its ingredients. 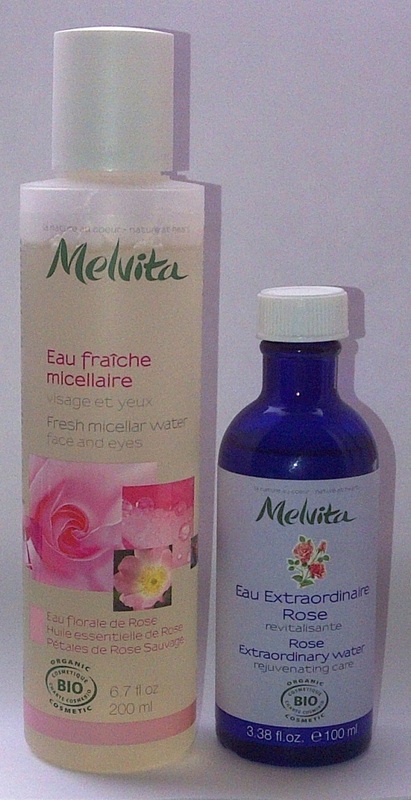 From the Melvita Rose Range these are a welcome addition on the bathroom shelf and of course are organic and paraben free. I had never heard of this company before but I will be definitely doing some more research. You had me from the word 'rose'. My favourite perfumes and creams are all scented with rose and I've heard that rose water is supposed to be really good for your skin. 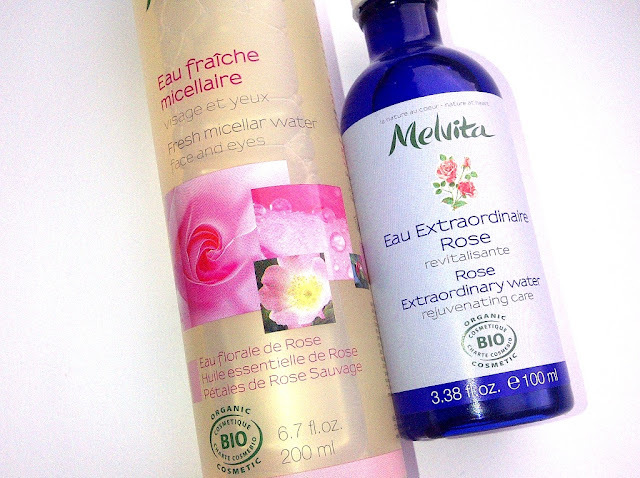 Have you ever tried pure rose water as a toner?